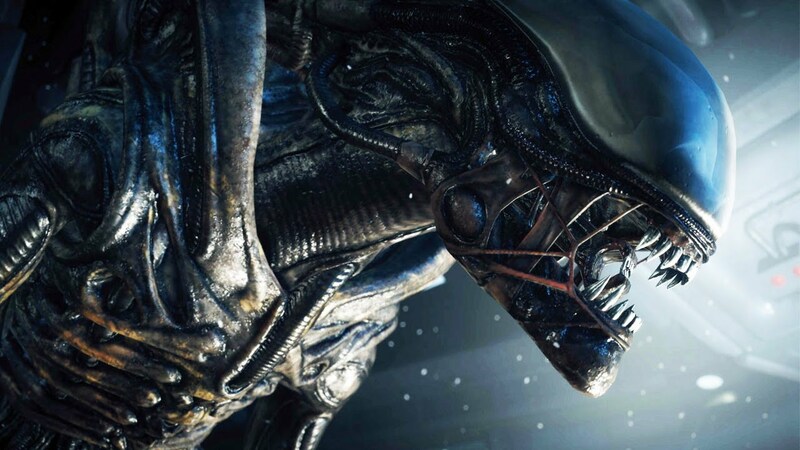 SEGA continues its use of the Alien license with a new horror first person adventure set within the dark confines of space featuring the daughter of Ellen Ripley (Sigourney Weaver) from the movies. With some lacklustre games from the franchise in the past, is this latest offering worth a look? Check out our full review of Alien Isolation for our verdict. Today we’re taking a look at The Creative Assembly’s first person survival horror adventure, Alien Isolation which is available now on consoles and PC packs quite a punch for fans of the movies. Players assume the role of engineer Amanda Ripley, who happens to be the daughter of Ellen Ripley with whom we’ve come to know from the movies. There’s quite a few references and much imagery lifted from the films as Amanda investigates the mystery surrounding her mother on board the ill fated and stranded mining station the Nostromo. After a brief introduction, chaos ensues and its lights off for the remainder of the 15 hour plus experience. The story is fairly tame offering predictable outcomes and merely acts as a bed for what can only be described as a series of unfortunate events for Amanda through contextual scenarios. At its heart, Alien Isolation is a pure stealth game where the onus lies on crouching to move slowly and quietly, sneaking around dimly lit corridors or enclosed rooms all the while avoiding contact with the human , android and lurking alien. The survival element comes in to play as items can be forage from all manner of containers, desks and from the fallen, to be crafted into useful tools such as Molotov cocktails, pipe bombs and medical supplies. Whilst there is an element of combat in the latter portion of the adventure, the scarcity of ammo for the weapons means going all out isn’t going to last long, and when you really need some offensive option, having no ammo poses a big problem. The core gameplay relies on extensive searching, conservation of resources where perhaps sneaking past foes in the shadows is more viable, than wasting precious ammo. There are moments where you just have to let rip, but with a constant grip of fear the alien has over the game being aware of noise is also a factor players have to consider. In other words, fire-fights will attract the alien who for the most part is indestructible. 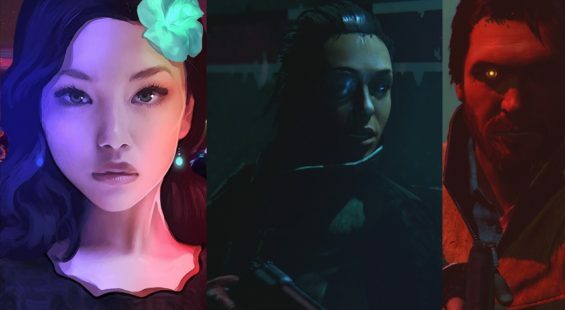 What the game does very well is provide some excellent pacing and introduction to its basic features in a concise and rewarding fashion so there’s always something new to work towards. As players progress through each mission, Amanda’s options increase as she gathers the right tools for the many tasks laid out before her until eventually she’s hacking terminals, burning off metal plates from locked doors, and proving that being an engineer is a valuable asset when things go wrong. There are some moments of interactions with non-hostile humans, but these are short-lived moments of dialogue and go against the game’s title which really befits the entire experience. The real hook for the game is the much touted alien itself, a singular entity that literally stalks the player through the entire 18 mission episode. In most rooms there are air vents on the ceiling which enable the Alien to move freely around most parts of the ship and means at any time, it could suddenly appear and chew your face off. The expectation of arrival places players in an overly cautious state, slowing the game’s pacing down leaving players knowing the consequences of running around or simply walking could attract unwelcome attention and an untimely demise. However, it’s not all one-sided nonsense which can happen if unlucky such as being grabbed by an android and then impaled by alien tail, but for the most part forces players to hide and wait until the threat is gone. Thanks to the infamous motion tracker, players can keep an eye on any movement in close proximity, but often it’s the constant barrage of audio cues which provide the most feedback. There’s sheer terror as sounds of scurrying alien feet and the cries of the ship’s inhabitants can be heard in the background, and all around the player creating immense moments of tension. What heightens the fear factor is the clever way saving is handled by use of specific save points. Whilst they are evenly spaced, there are some long moments of activity between them which simply leaves players craving for a point to save lest be eaten and having to start from the previous save. In terms of looks Alien Isolation presents some impressive lighting effects as terminals give off colourful hues or flicker and sparks illuminate their surroundings alongside some neat smoke particle effects. The overall ambience and feel is captured very well which provides an excellent recreation of the interiors of the future space craft despite them being deliberately dull locales. However, the overall looks are let down by a lack of detail in the environment textures which are quite plain when viewed up close. 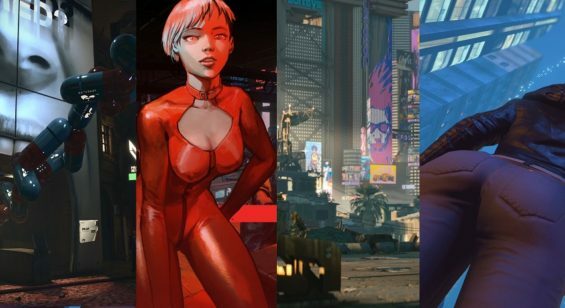 There are some decent character models, but again aren’t the most detailed and like the environments rely on the extreme mood lighting to create a visual impact which luckily the game handles with great success. Sadly, there’s little variation with the game’s locations, which to be fair is expected, but does make for an over-familiar ride as you climb through the 100th vent into the next similar looking corridor to the one you’ve just used. Performance wise, the game runs pretty well throughout although in some of the more explosive scenes, there are notable dips in frames per second momentary which don’t affect gameplay but show the Xbox One in particular struggles in places. Audio is perhaps one of the game’s greatest assets as it’s used with such expert effect here. Players are forced to take note of every sound and at its peak is a complete assault on the senses as footsteps and explosions fuse with voice overs from the ship’s PA system. Coupled with some awe inspiring music and you have a game that proper pulls you into its charms and never lets go. The marriage between the dark visuals, tense gameplay and often overpowering audio makes the game one of the most involving experiences around, it all works well regardless of the rather uninspiring story. Alien Isolation offers two modes of play from the off with its story and survival challenge mode. The latter has you placed in specific locations with the aim of survival and escape. If successful, players can then compare their score and time taken with others via online leader boards. The story offers well over 15 hours play across its replayable missions and has lots of areas to explore and ID tag collectibles to uncover. With the random element of the alien AI, also means that replaying levels might not yield the same results which keeps things fresh. Gamers looking for a more mentally taxing stealth game will find the antics on offer in Alien Isolation to be most agreeable and perhaps some of the best yet for passive stealth action as it effortlessly fuses rousing moments of despair, frustration and sheer terror into a seemingly never ending game of cat and mouse against an unbeatable opponent. The game isn’t about shooting or fighting, and when it does offer some moments of aggression, there’s good reason and significance rather than obligatory cannon fodder to merely spice things up. With an assortment of tools, patience and taking the odd chance here and there, Amanda Ripley is an enjoyable character to play as even though we learn very little about her throughout the lengthy story. The game is very much about isolation from pretty much everything, leaving a bare game of survival instincts that purposefully basks in its slow and menacing momentum. Action fans, need not apply, but those wanting to experience and revel in genuine fear need look no further. Alien Isolation is pure quality that’s well worth playing and highly recommended for the patient and not so easily spooked.